Are ‘cloud grannies’ part of the future in how we engage our students in and out of school hours? 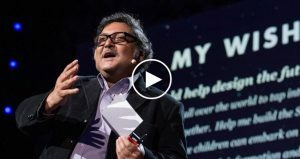 See the TED talk by the inspiring Sugata Mitra about his educational journey that started with a ‘hole in the wall’ computer in an Indian slum. Also a link to a story about this program in the Guardian newspaper on-line edition.